GDPR Compliance – Whose Responsibility is it? This newsletter special will deal with the burning issue that is GDPR compliance. We have done many posts recently in relation to GDPR and have kept you updated with all the latest news regarding it. While most businesses are aware of the upcoming GDPR regulation there is still a lot of confusion over who is actually responsible. 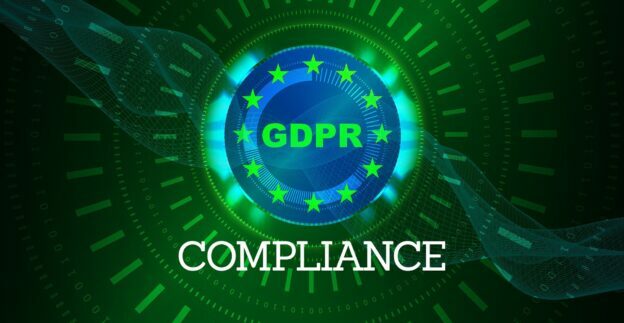 If you aren’t already familiar with the issue, GDPR is a regulation that requires businesses to protect the personal data and privacy of EU citizens for transactions that occur within EU member states and non-compliance can result in fines. GDPR comes into effect on the 25th May 2018. It is vital that every business makes sure their site is GDPR compliant by this date.To this end please be aware that it is up to each individual business to ensure that their website is meeting the GDPR requirements in lieu of the aforementioned date. This means that it is each businesses own personal responsibility to ensure their website is GDPR compliant. If you would like us to review your website and provide you with observations and recommendations that may aid you towards achieving GDPR compliance please feel free to get in touch with us. You can reach us through our contact page.